The exhortation to "Go West!" has always had a strong hold on the American imagination. But for the gays, lesbians, and transgendered people who have moved to L.A. over the past two centuries, the City of Angels has offered a special home--which, in turn, gave rise to one of the most influential gay cultures in the world. Drawing upon untouched archives of documents and photographs and over 200 new interviews, Lillian Faderman and Stuart Timmons chart L.A.'s unique gay history, from the first missionary encounters with Native American cross-gendered "two spirits" to cross-dressing frontier women in search of their fortunes; from the bohemian freedom of early Hollywood to the explosion of gay life during World War II to the underground radicalism sparked by the 1950s blacklist; from the 1960s gay liberation movement to the creation of gay marketing in the 1990s. Faderman and Timmons show how geography, economic opportunity, and a constant influx of new people created a city that was more compatible to gay life than any other in America. Combining broad historical scope with deftly wrought stories of real people, from the Hollywood sound stage to the barrio, Gay L.A. is American social history at its best. "Vital intellectual fare brimming with fascinating history." 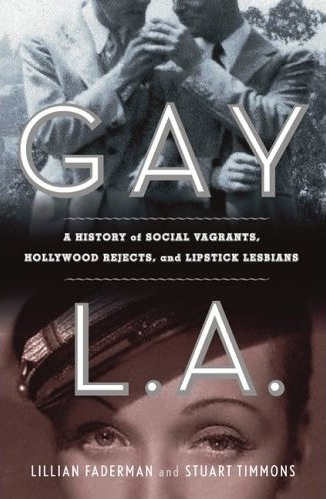 "This social, political and cultural history of lesbian and gay life in Los Angeles by two seasoned historians is easily the subjects definitive work.a wealth of fact and analysisfilled with illuminating facts."